I work with brands and startups to help them to build and manage their marketing and customer acquisition channels. PerspectivePMA is a San Francisco based performance marketing agency. We handle the complex daily behind-the-scenes work of launching and managing affiliate and partner marketing campaigns. 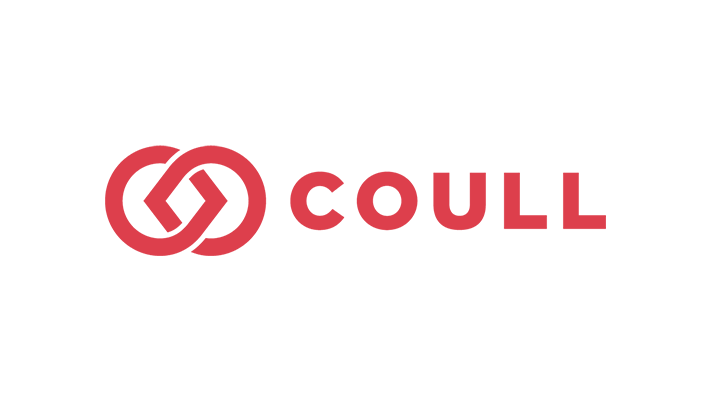 Coull is a performance based online video ad network based in Bristol, UK. We provided a platform for video publishers to monetize their content by including product links right in their videos, and for advertisers to achieve greater distribution to new engaged audiences. Coull acquired RevUpNet, my previous company, in Spring 2012. My role at Coull is a continuation of my role at RevUpNet; managing performance marketing campaigns for some of our top accounts, as well as doing network and business development for our video network. The campaigns I manage drive over $5mil in tracked online sales for my advertisers annually, and much more in brand exposure. Clients I worked with include: Verizon, Under Armour, Lego, Fandango, Lynda.com, Travelocity. 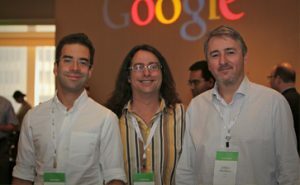 RevUpNet was an online advertising agency based in Santa Barbara, California, acquired by Coull in 2012. We specialized in managing performance marketing campaigns, acting as a certified agency partner for Commission Junction, Impact Radius, Google Affiliate Network, and Google Adwords. I specialized in running affiliate campaigns for consumer product and business-to-business software advertisers. We were a: CJ, LinkShare, Impact Radius, Google Adwords and Google Affiliate Network certified partner agency. Clients I worked with include: Sonos, Paul Fredrick, Folica, Magellan’s, eFax, Taser BigCommerce, YouSendIt. While living in Hanoi, I was hired as an on-staff consultant by Thang Long Securities, the brokerage and financial services arm of the Military Bank of Vietnam. At Thang Long Securities I worked in a team to create a new consulting and special research division called the Financial Institutions Group. Together we crafted specialized market and equities research for partnered investment funds, in addition to several internal projects to bring the firm up to international best practices. We also established a strong presence for Thang Long Securities in the Vietnamese international business community, which boosted the image and reputation of our firm, as well as gave our new division access to many specialized partners for collaboration on consulting projects. 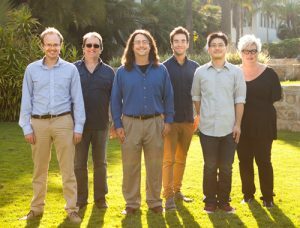 After some initial success we were able to expand our consulting team to eight people. The Financial Institutions Group is currently still operating as a division of Thang Long Securities and executing contracts in the private and public sector. 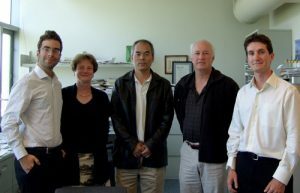 Nitride Solutions was founded in the spring of 2008 by Troy Baker, Bruce Allen, and Muriel Taylor, any me. Using a proprietary growth technique developed by Dr. Shuji Nakamura at the Nitride Crystal Growth Laboratory at UCSB we are able to grow the world’s highest quality Aluminum Nitride Substrates. These will be used in the manufacturing of Ultra Violet LEDs and other optoelectronic semiconductor devices. Our breakthrough process technology will enable UV LEDs to have ten-x increase in efficiency and lifetime, further expanding the fast growing multi-billion dollar solid state lighting industry. Our venture won first place in the National Collegiate Venture Forum S.E.E.D competition in March 2008, the first ever win for a University of California team. We then won the two top prizes and $15,000 at UCSB’s College of Engineering New Venture Competition. Nitride Solutions has raised $2.5mil in Series A funding. In 2009 the IP we developed was acquired by a partner which still operates today under the Nitride Solutions name. 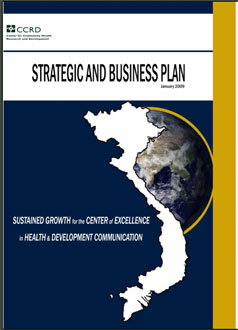 In 2009 I was hired as a consultant by CCRD, the Center for Community Health Research and Development in Vietnam, to help them write their business/strategic plan to present to their investors for their next round of funding. The plan was success and CCRD secured their funding.